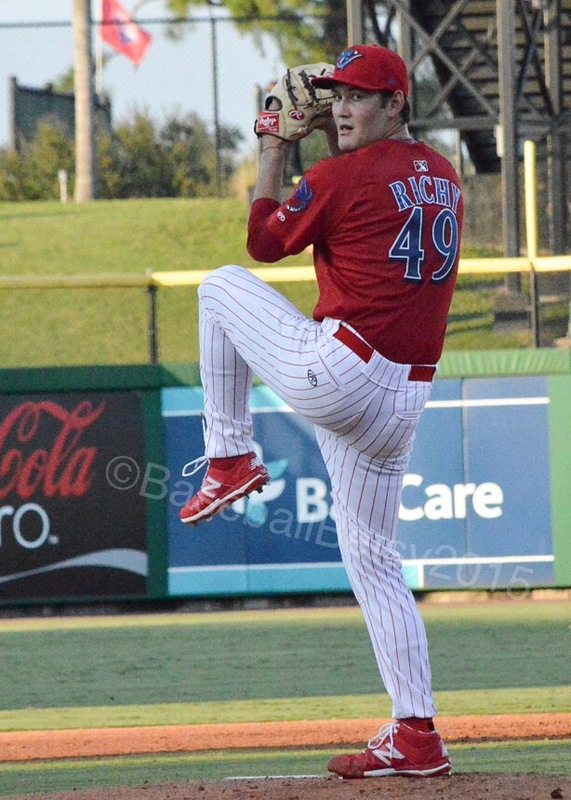 It was announced this morning that former Clearwater Thresher Josh Tobias has been traded to the dreaded Boston Red Sox for RHP Clay Buchholtz. Tobias started with Lakewood and ended with Clearwater. He is young but showing strong potential. Buchholtz is on the downside of a good career. He has one year (and 13-million dollars) remaining in his current contract. He may be ok as a temporary stop gap measure while waiting for some of the minor league pitchers continue to develop and mature. That being said, Buchholtz has had issues in the past, ending up in the bullpen on more than one occasion. Tobias, while young, has shown signs of great potential, with a strong bat. 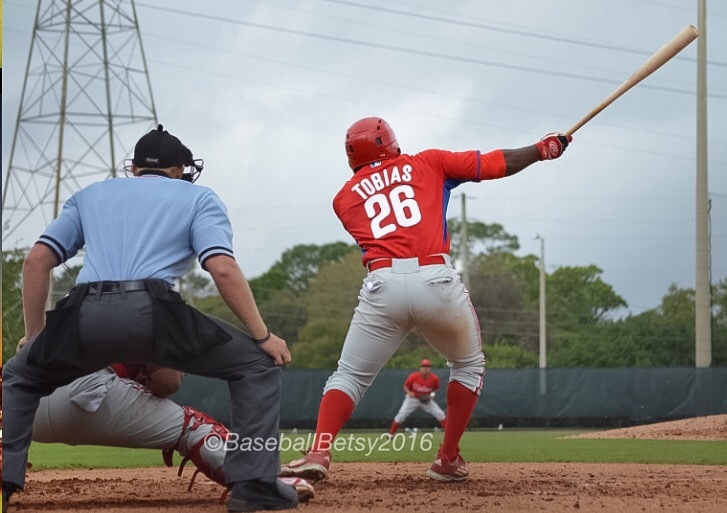 Tobias has a .301 batting average while in the Phillies’ system. You can see his bat strength in this video from the final game of the Threshers season where he hit a strong homer to right. See HERE. 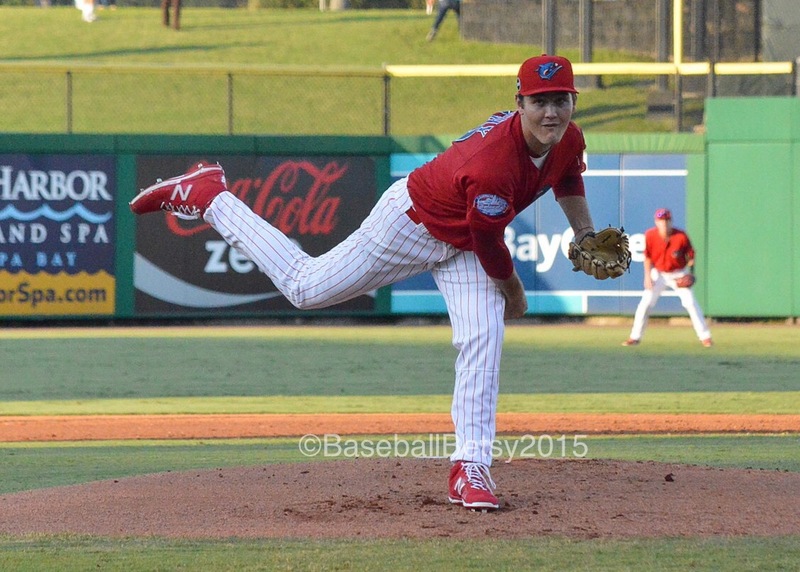 Will the gamble of giving up potential talent for a stop gap pitcher pan out? Only time will tell. The Philies have traded pitcher Chris Leroux to the Toronto Blue Jays for “cash considerations”. Leroux is expected to join Triple-A Buffalo. 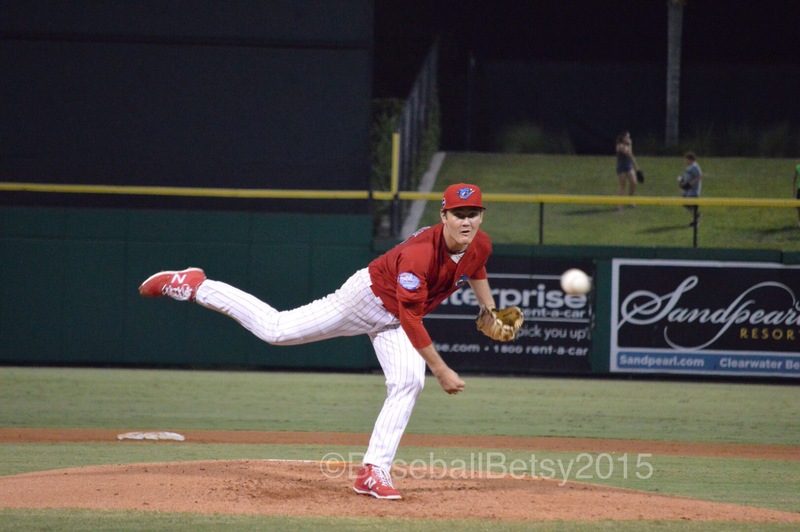 Leroux had been listed on the Phillies extended spring training roster. 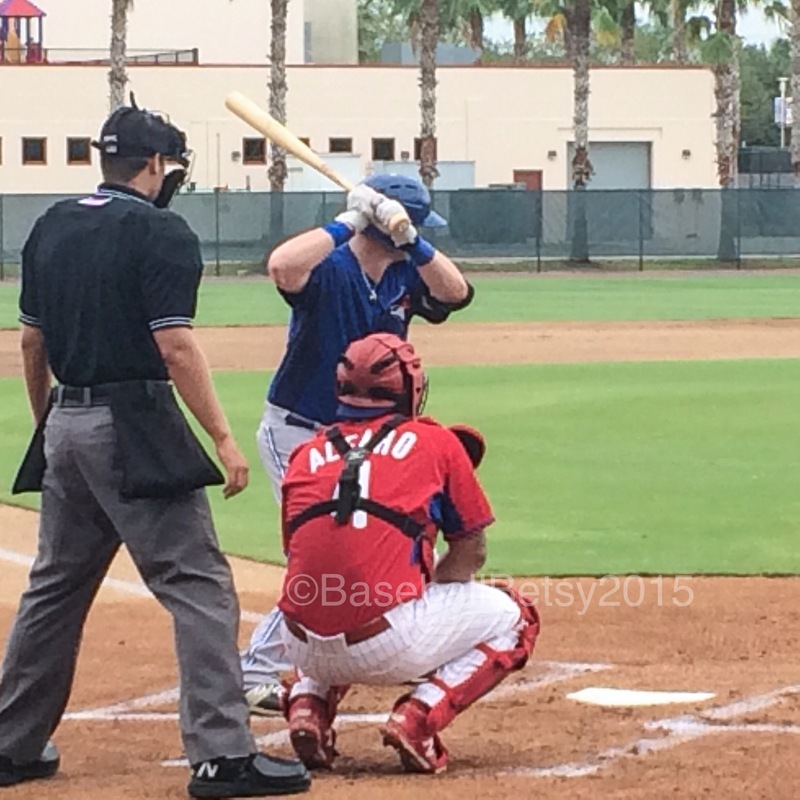 Jorge Alfaro, the new catcher acquired in the Cole Hamels trade, played today in a Gulf Coast League game. 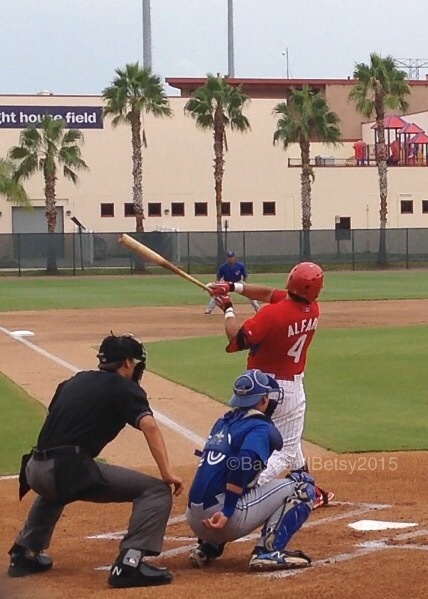 Alfaro played three innings–hit two strong line drives that might have gone out, if the wind didn’t blow it back in. 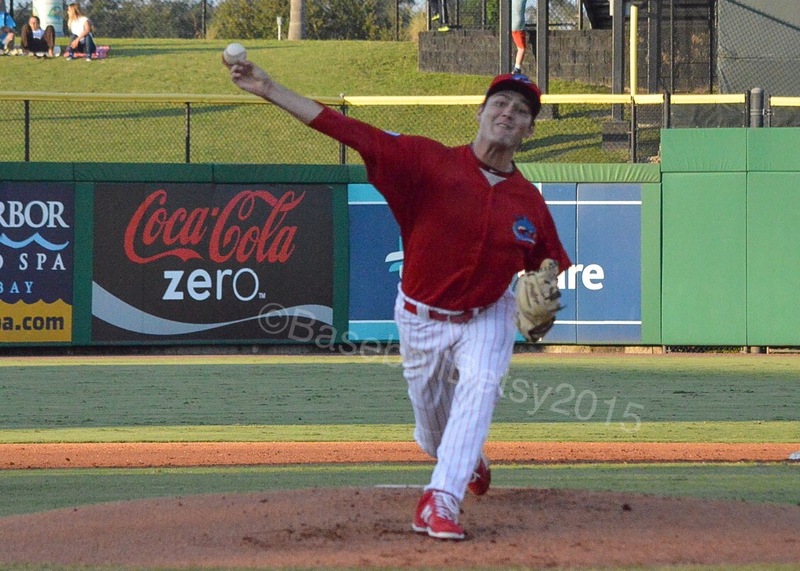 John Richy, the newly acquired RHP from the Dodgers, made his debut with the Clearwater Threshers tonight. Richy went 7 innings, 4 hits, no runs, 1 walk, 3 strike outs and a pick-off. A rather impressive debut for our new pitcher. My only regret is that I won’t get to see more of him before the end of the season. Well, there’s only approximately 165 days until spring training…. Sometimes, the surreal happens. Sometimes, when it happens, you have to keep it quiet to respect someone’s privacy until the event is over. Earlier this week, I received an email from a scout from the Texas Rangers. He had viewed my Youtube Channel and liked what he saw. He wanted to know if I had additional video on three other minor league players as well. I was lucky enough to get to meet him this week and was blown away when he introduced me to another scout (this one from the Braves) with the introduction, “If you ever need video on these guys, you have to look at her Youtube channel.” I was so flattered. Baseball Ross and I have worked really hard to build up our library of video of the young guys and to know it was appreciated on a “professional” level was rather cool. 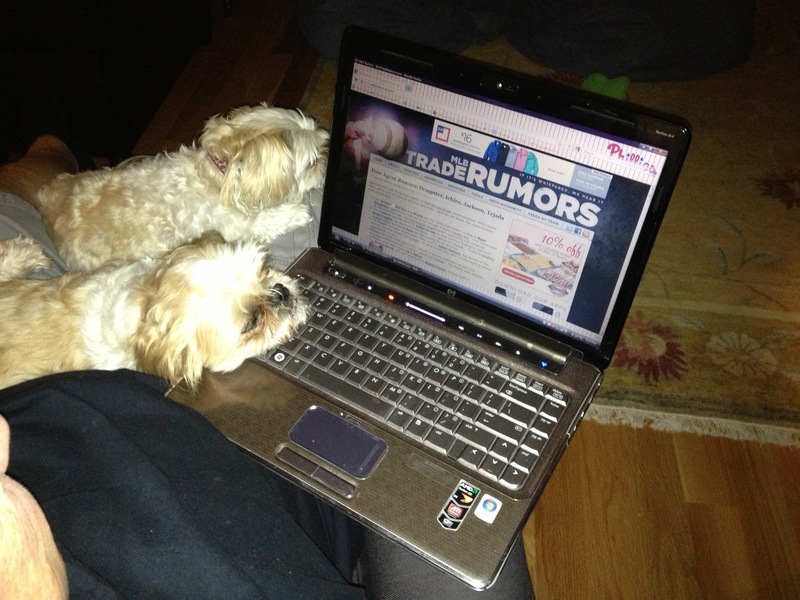 So when I heard that the Rangers were going to get Hamels, I was floored. For once, I was on the “inside” looking out, not the other way around…and the view was amazing. THIS JUST IN: Disagreeing with Ruben Amarro Jr. Will end up with you being banished to Canada! YOU’VE BEEN WARNED! All silliness aside, Michael Schwimmer has been traded to the Toronto Blue Jays for Art Charles, a 1B minor leaguer. Schwimmer has been the center of controversy since last fall when he was sent down to Lehigh Valley. Schwimmer argued that he was injured and therefore could not be sent down and should have been placed on the disabled list. His fans, known as the SCHWIM Team, will miss him. I’ll still see him here in Dunedin.